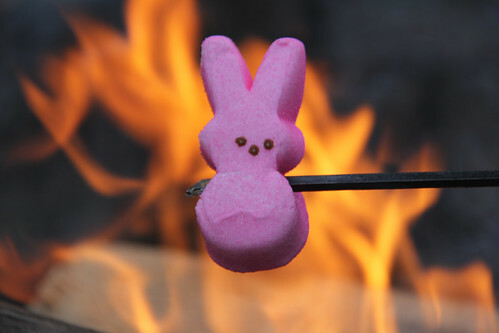 Claire insisted that we roast marshmalllows at Friday night's fire; moreover, she chose to roast the collection of Peeps that she'd received as part of her Easter candy haul. Why subject the Peeps to such a cruel fate? Because she wanted "to do science to it!"